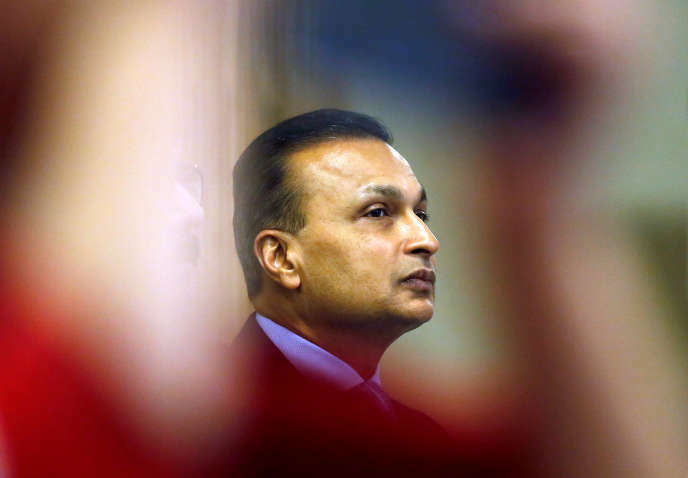 Anil Ambani, a close friend of Prime Minister Modi, benefited from a cancellation of more than 140 million euros in 2015, when Dassault negotiated the sale of Rafale to India. The man at the heart of the "Rafale affair", which has shaken India for months, is a powerful Indian industrialist whose fortune is estimated at $ 1.9 billion (€ 1.68 billion). Forbes magazine. Anil Ambani is at the same time one of the main beneficiaries of this sale of thirty-six French combat aircraft of Dassault Aviation to India, and a very close to the prime minister, Narendra Modi. Not a day goes by without the opposition in India accusing Mr. Modi of taking advantage of this contract of 7.9 billion euros, negotiated in 2015, favoring his friend Ambani. In France, the anti-corruption NGO Sherpa filed a complaint, on October 26, 2018, with the National Financial Office (PNF), to request the opening of an investigation into the suspicions of corruption and trading in influence surrounding this transaction. .
Read also Rafale contracts in India: NGO Sherpa wants PNF inquiry into suspicion of "corruption"
According to information from the World , France has canceled a tax recovery of a total amount of 143.7 million euros, yet claimed for years, in favor of a French company belonging to the group Reliance Communications Anil Ambani. The dispute was settled between February and October 2015, at a time when India and France were negotiating the sale of thirty-six combat aircraft. What happened that year? The French company Reliance Flag Atlantic France, owned by Anil Ambani, knows at this time of great financial worries. Its solvency is threatened by a large tax debt. The company provides telecommunications services, operating, inter alia, with other companies in the Reliance group, a transatlantic submarine telecommunication cable between Europe and the United States, and has a turnover of 60, € 6 million for the fiscal year ended March 31, 2014. As revealed by the report of 30 January 2015 by the auditor, whose role is to certify the accounts of the company, and to which Le Monde had access, Reliance Flag Atlantic France is subject to two tax adjustments. In particular, the tax authorities dispute the way in which the company accounted for certain purchases from other companies in the Reliance group, due to a lack of "documentation", which is tantamount to challenging the methodology used by Reliance Flag Atlantic France for calculate his "transfer prices". This well known technique of regulators is used by companies to reduce their tax bill. It is used to send profits to tax havens, where they will not be taxed. The parent company of the French company Anil Ambani, Reliance Globalcom Limited, is domiciled in Bermuda ... A territory that has just been registered, in March, on the blacklist of tax havens in the European Union (EU).